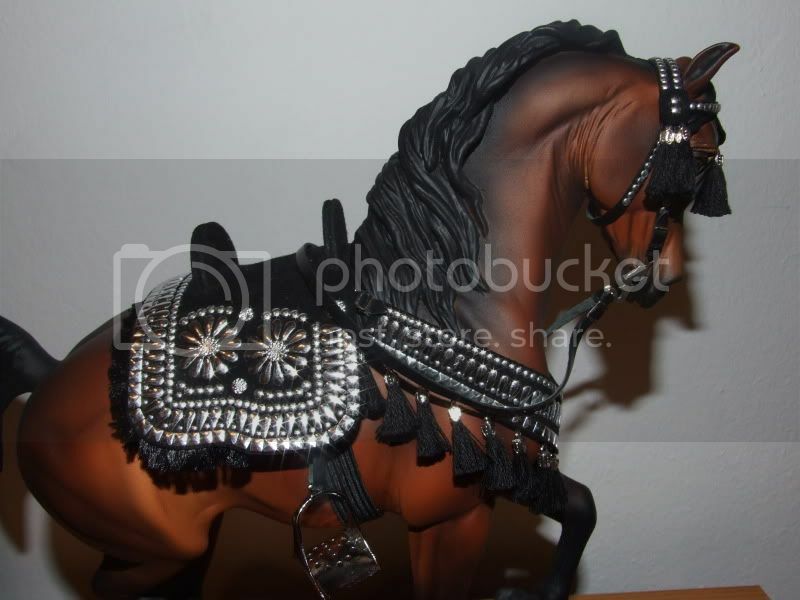 Breyer Impress me Shanon. 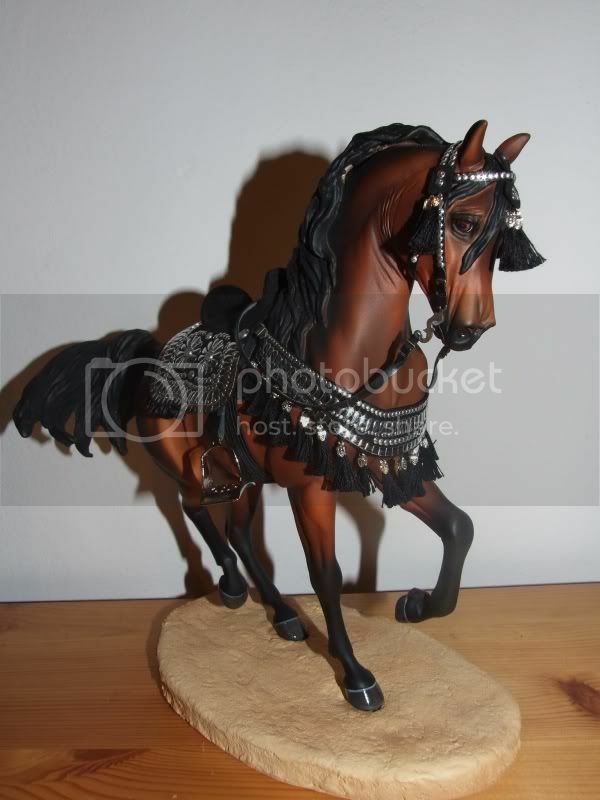 He is a beautiful model and is in very good condition without rubs or scratches. His price is €40. Icabad a beautiful model is very good condition without rubs or scratches. His price is €140. I have also the original breyer box in good condition. A beautiful Copperfox Welsh cob Tiger Woods for sale. 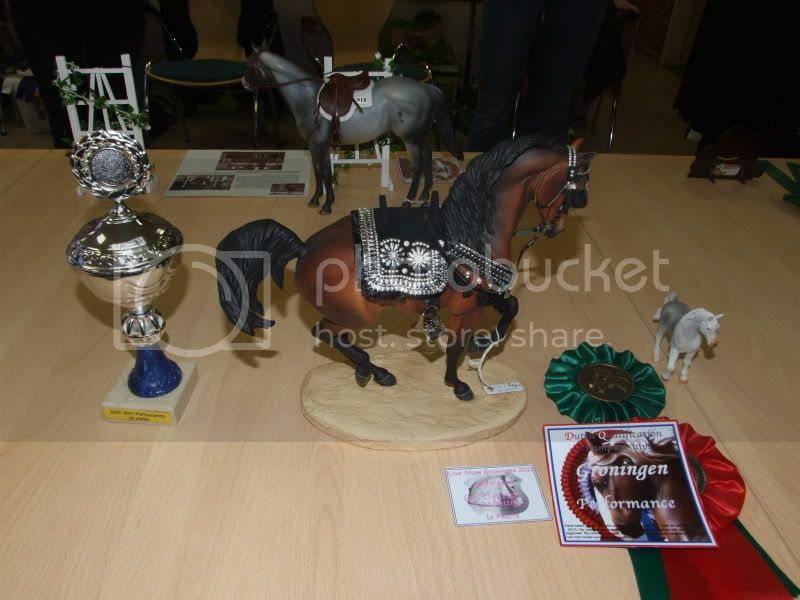 He is in good condition with certificate and the Copperfox box. The price for this model is €110 excluding shipping costs. I have also a body Copperfox Welsh cob for sale. He is in good condition he has only some scrathes and rubs on his body. 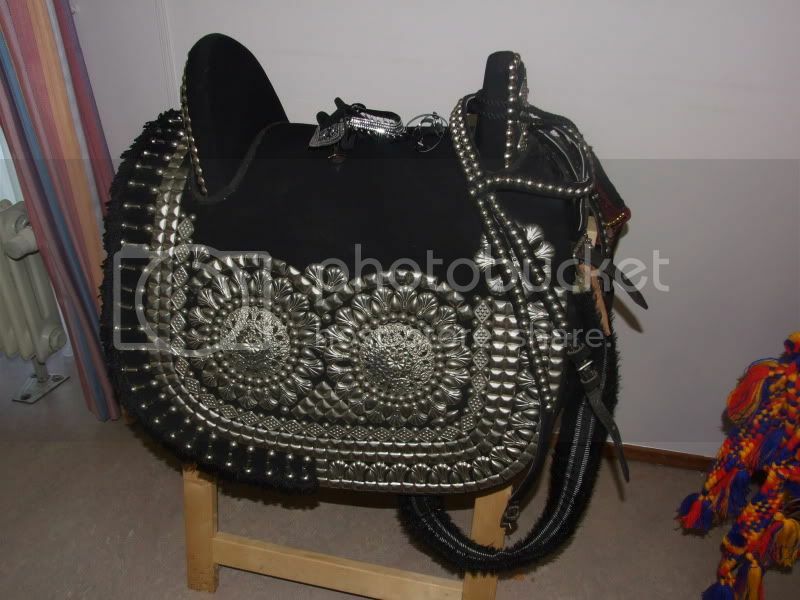 this one is for myself, but if someone wants i can sell it or a regular one or a custom dancing saddle in black blue or red then i can make it. 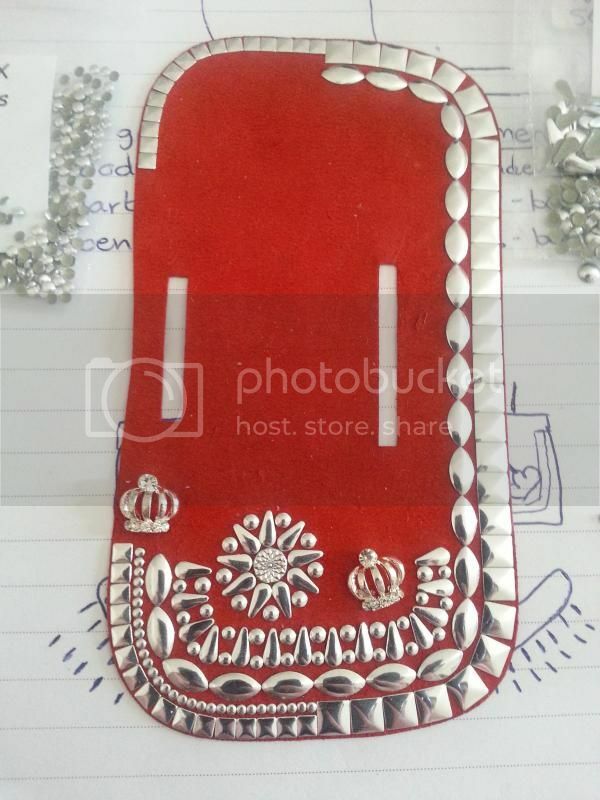 I'm working on a red dancing saddle now. Thanks for the compliments. I have no other dancing costumes. I'm want to make a blue one for my Jendayi resin and I'm planning to make a red one for Aegis too. 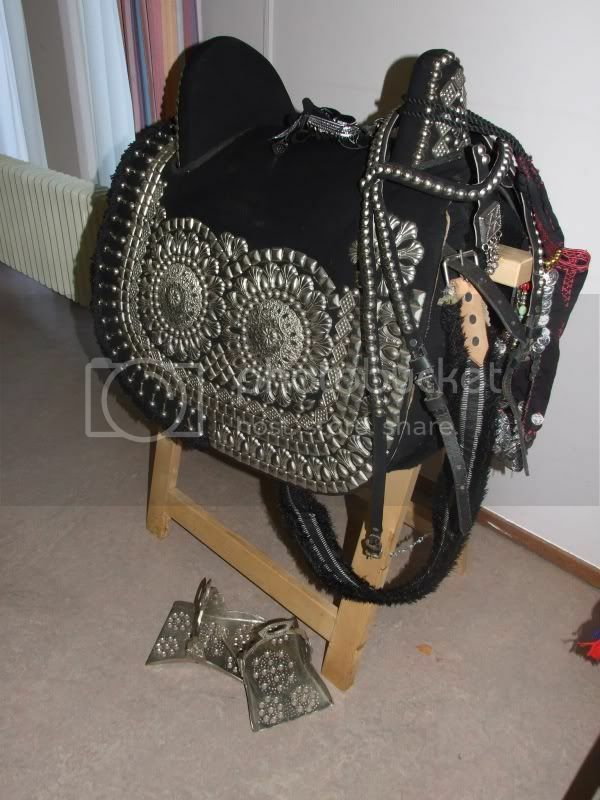 This set is not for sale and is made to be fit Aegis, the briddle is very small. 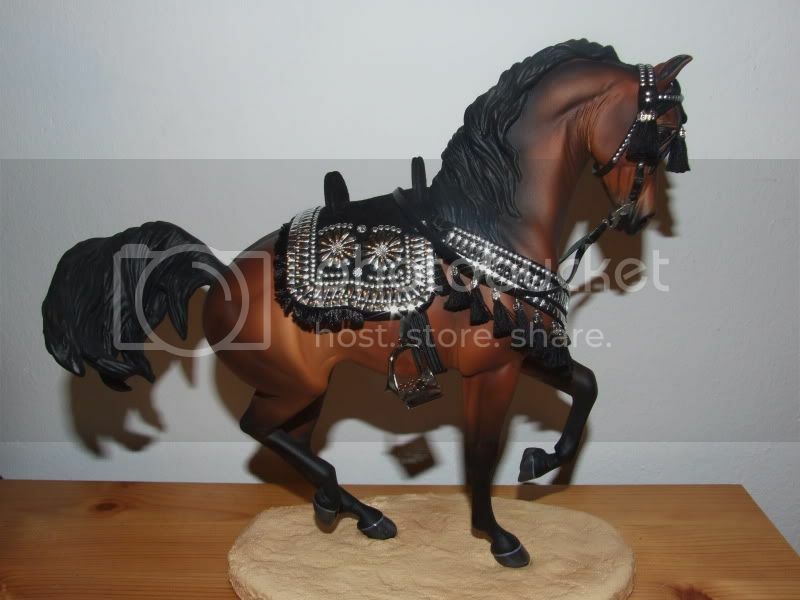 But I can make a simular or custom arabian dancing set if you like. I have made a dancing costume for my resin Aegis. He won many prices on a live show in the Netherlands. Another member of the live show, showed her real dancing costume on the show. Her real costume looks like very much on mine miniature costume. Breyer Mule Jubilation - Mule Limited Edition 2015. He is in good condition wothout rubs or scratches. His price is €40.